Tying together almost four decades of neo-Piagetian research, Cognitive Development provides a unique critical analysis and a comparison of concepts across neo-Piagetian theories. 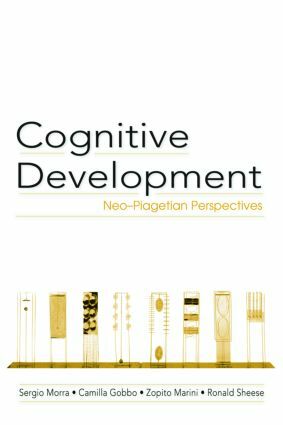 Like Piaget, neo-Piagetian theorists take a constructivist approach to cognitive development, are broad in scope, and assume that cognitive development is divided into stages with qualitative differences. Unlike Piaget, however, they define the increasing complexity of the stages in accordance with the child’s information processing system, rather than in terms of logical properties. This volume illustrates these characteristics and evidences the exciting possibilities for neo-Piagetian research to build connections both with other theoretical approaches such as dynamic systems and with other fields such as brain science. The opening chapter provides a historical orientation, including a critical distinction between the "logical" and the "dialectical" Piaget. In subsequent chapters the major theories and experimental findings are reviewed, including Pascual-Leone's Theory of Constructive Operators, Halford's structuralist theory, Fischer's dynamic systems approach to skills, Case's theory of Central Conceptual Structures, Siegler’s microgenetic approach, and the proposals of Mounoud and Karmiloff-Smith, as well as the work of others, including Demetriou and de Ribaupierre. The interrelation of emotional and cognitive development is discussed extensively, as is relevant non neo-Piagetian research on information processing. The application of neo-Piagetian research to a variety of topics including children's problem solving, psychometrics, and education is highlighted. The book concludes with the authors' views on possibilities for an integrated neo-Piagetian approach to cognitive development.